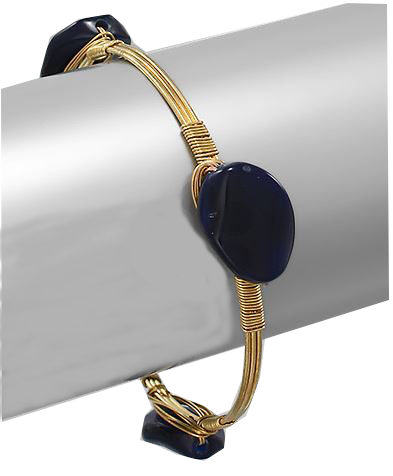 Fabulous authentic look lapis stone bangle features wrapped gold plated wire with synthetic stones attached via wire wrapped through and around the individual spaced stones. Stack several, wear with other bangles or wear alone. Great new look!